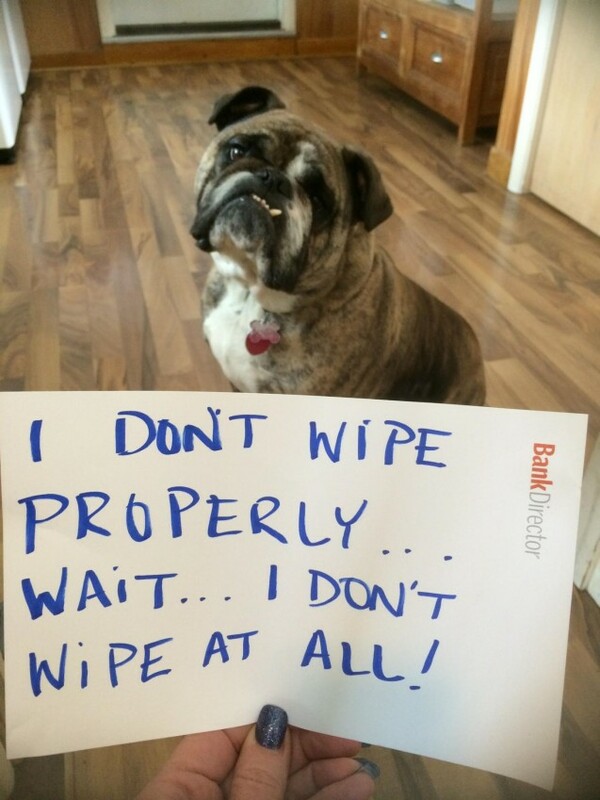 Brutus doesn’t wipe properly… Wait… I don’t wipe at all! Posted July 29th, 2015 . Ah, yes. I have to wipe hiney for both our poopers (baby wipes) every time they go. Isn’t he great? Gotta love that front tooth, too.